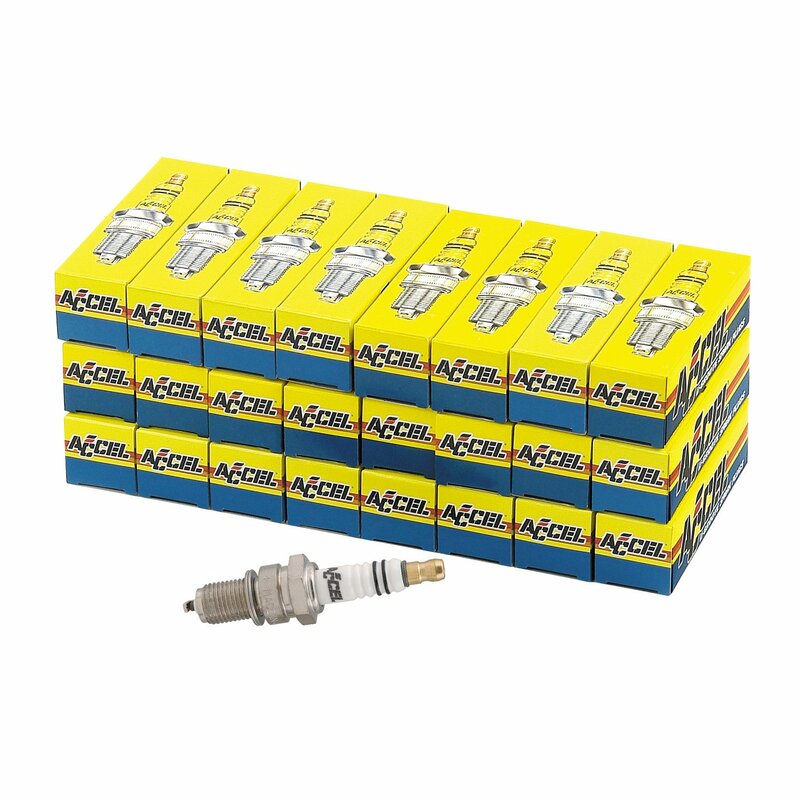 These ACCEL platinum spark plugs fit Harley Davidson Twin Cam engines with .040" gap, 24 pack. ACCEL Platinum spark plugs are manufactured from the best materials available and include the finest quality assurance of any spark plug available to ensure long, trouble-free operation. The premium quality platinum tip is more durable than standard plug material so the spark plug will maintain the proper gap much longer than ordinary plugs. The proper spark plug gap requires less voltage to fire so you will have fewer misfires for long periods of use. The pure copper center electrode reduces fouling. Easier starting, improved fuel economy, smooth idling and quicker acceleration are just a few benefits of ACCEL Platinum spark plugs.